1. Ranaji Mhane : Mira does not hesitate to defy the social norms while expressing her devotion to Lord Krishna. She forsakes married life and choose to be by his side. Naturally, she is the but of opprobrium. However, she is unaffected and finds the reproach not bitter but sweet. 2. Dal Gaya e Gal : Mira saya my yearing for Krishna is so intense that it is like a noose around my neck. “Here I am in the throes of death and the naughtily keeps laughing at me. 3. Kaisi Ritu Aayee : What kind of a season is this I the sights are long and dark. Lightening frightening me. There is a constant downpour and relentless thunder. Krishna is not with me in the bed. How long am I supposed to endure this pain of separation? 4. Beg Padharo : O Krishna ! Please comes soon to my rescue. I have no one else to seek succor from. Others find pleasure in tormenting me. The entire army is at my door. But you are the only Lord for me. 5. Jawo Hari Niramohida : Krishna ! you are extremely selfish. You think of staking you desire but have little concern for me. Initially. you quite different. 6. Tum Darasana Bin : Krishna, I can not live without you even for a moment. My only wise is to see you. I am wandering with a wounded heart. I have lost my sleep and my appetite. I have realized that is not worth loving anyone. Krishna, you are not playing any attwention to me. But remember, you are the only source of happiness for me. Mira, the legendary saint – Poet, is one of the most revered figures of India. Mira was a princess of Mewar who sacrificed her comforts for the sake of her devotion to Lord Krishna. She suffered social reproach to such an extent that according to some scholars her name was often used as a tern of abuse and her devotional songs were suppressed in her home state Rajasthan However, Mira and her songs live on in the memory of the people. 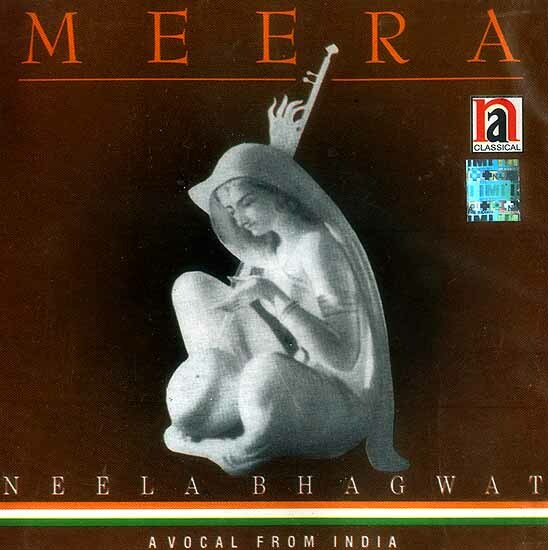 Neela Bhagwat, the eminent classical vocalist from the Gwailor gharana renders some of the hitherto unknown compositions of mira in her evocative style. What emerges from Neela Bhagwat’s interpretation is an altogether new picture of the saint – poet who forcefully asserts her devotion to Lord Krishna.